Revisit the bestselling Charleston Trilogy by #1 New York Times bestselling author Sherryl Woods in this timeless tale of what happens when opposites attract. There’s a fine line between desire and disaster. At least, that’s what improper Southern belle Maggie Forsythe thinks when she’ unceremoniously dumped by a fiancé even her mother approved of. 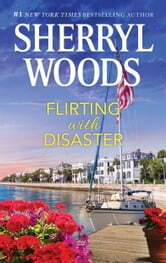 Maggie has never cared what anyone thinks, so why is she hiding away from her South Carolina Low Country home? But one look at Maggie convinces project foreman Josh Parker that he’s corn bread to her caviar. Sure, they have enough sparks to ignite a bonfire, but growing up broke has made him wary of sweet-tea-swilling debutantes. So why is he suddenly singing “Tea for Two”?